Home » Editorial » What Is The Legal Difference Between Assault And Intoxication Assault? What Is The Legal Difference Between Assault And Intoxication Assault? There is a difference in the legal ramifications between assault and intoxication assault. Intoxication assault is a serious crime in Texas, and it is treated and punished differently than regular assault. The addition of intoxication can result from driving anything while intoxicated: a boat, a vehicle or even flying a plane. Anytime that you choose to get behind the wheel of a vehicle and drive while intoxicated, and you hurt someone, it is considered intoxication assault and carries some stiff penalties and punishment. Not only are there criminal consequences for intoxication assault, but there are likely to be civil cases to follow. The prosecution might not be able to prove their case or convict you, but a civil case takes far less evidence to find in favor of the plaintiff. Even if you are found not guilty of intoxication assault in a criminal case, that doesn’t mean that you won’t be held liable to pay for damages done, which in some instances can alter your financial status irreparably. According to an assault attorney Queens, for intoxication assault to be alleged, the person has to have taken any intoxicant — whether it is alcohol or drugs. That includes both legal and illegal drugs. If a person is on prescription drugs, it does not absolve them from being intoxicated; they still have a duty not to drive and endanger the public. There are two ways that a prosecutor can prove in a court of law that you were intoxicated at the time of an incident. They can use a Blood Alcohol Concentration (BAC) level of more than 0.08%. If you have a BAC level higher than 0.08%, it makes no difference if you are impaired personally. It is the minimum percentage that many studies have shown that impairment exists. They can also establish that your mental or physical behaviors were impaired due to whatever intoxicant you took. 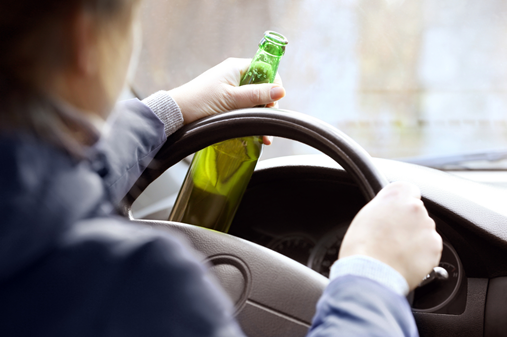 That can be done through a “field sobriety test,” or just through an examination of your driving behaviors. A grave risk of death like internal injuries or an exorbitant amount of blood loss. Permanent body disfigurement or disability. The loss of an organ or a limb. If the victim dies of the injuries that resulted from your intoxication assault, then your case will be elevated to intoxication manslaughter. It is a second-degree felony and has penalties that are equal to the enhanced penalties of intoxicated assault. There are times, however, when an intoxication manslaughter might be elevated or treated as a first-degree felony. If you should be accused of an intoxication assault, it is important to know your rights and to build a good defense. Since the charge is something that could potentially ruin your future and be on your record forever, it is imperative that you have someone on your side who knows the law and can provide you with the best defense possible. Finding a criminal law expert in your area is the best way to fight a conviction and to keep yourself from the very grave consequences that can come with an intoxication assault conviction.